“[YOU Boston] is hard but rewarding work, it’s one of the great success programs that the mayor has”. This quote comes from one of YOU Boston’s partners, Bishop Nicholas Homicil ( Pastor Nicholas), of The Voice of the Gospel Tabernacle in Mattapan. His devotion to the community and dedication to improving the lives of youth are what make him an outstanding partner to the agency and the young people we serve.  The success that Pastor Nicholas mentions above would not be possible without him and numerous other partners that drive YOU Boston’s achievements. As a trusted partner for many years, Pastor Nicholas has provided many young people with valuable work experience helping out with the church’s numerous community projects. Since July 2015, twenty-one YOU Boston young people have been placed in internships with the church. Every year, he goes above and beyond with his interaction with the youth and commitment to teaching them and enriching their lives. 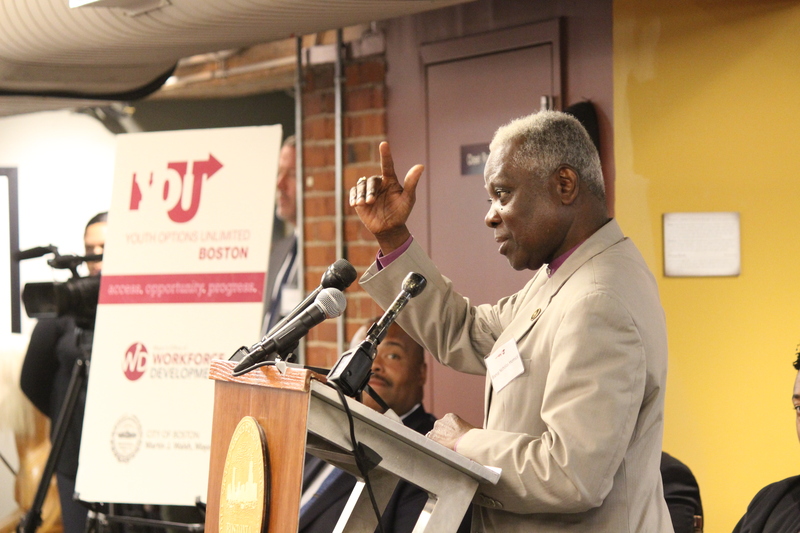 Pastor Nicholas addresses crowd at YOU Boston’s 2018 Summer Youth Event after being honored for his outstanding contributions to the program. Pastor Nicholas’s love for youth ministry began in Haiti when he was just 18 years old. 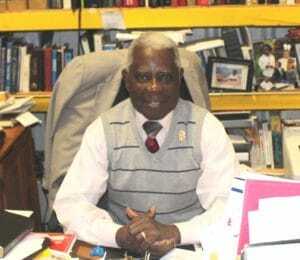 He came to his pastor with an idea to start a children’s ministry and so began a lifelong love of nurturing and developing young minds and helping them grow into honorable adults. While still in Haiti, Pastor Nicholas worked as an interviewer for job placement, but as he met more youth through his job, he realized that he wanted to spend his time directly benefiting the lives of the youth in any way he could. He first came to Boston in 1989 and began working in churches all over the city. In 2001, he finally landed at The Voice of the Gospel Tabernacle in Mattapan and immediately began revamping the community and doing all he could to support anyone who needed it. His goals to improve the community are finding housing for homeless youth, providing them with jobs, helping the youth stay in school and more. He is constantly referring youth to the program and even goes to schools to act as a liaison between the parents and teachers of some of the kids in the community. Pastor Nicholas’s service to the community is seemingly unfettered by time or resources, providing immeasurable joy and charity to the lives of those around him. When asked why he wanted to be a part of YOU Boston, Pastor Nicholas responded that “the satisfaction of being able to help a young person succeed…to teach them how to help each other, teach them about how education is the key to success, and teach them how to get involved in the community”. Pastor Nicholas’s actions represent the purest form of altruism and perfectly demonstrate what YOU seeks in a partner. Much of the youth Pastor Nicholas has mentored throughout the years still keep in contact with him, many of them going off to get degrees or becoming very involved in the church and giving back, just like him. The youth he mentors often see him as a father figure and will invite him to graduations or weddings, ask for life advice, or just call him wondering how he is doing. Pastor Nicholas is a prime example of how our partners can change the lives of many. Pastor Nicholas with his summer interns and YOU Boston’s Senior Career Development Specialist Christian Rivera.